High Speed Steel inserts may be the answer to many machining problems where other materials fail by chipping or breakage. High Speed Steel performs at slow surface speeds while providing a good surface finish, without chipping or breaking. This is in part because High Speed Steel inserts cut rather than fracture the metal like other materials. 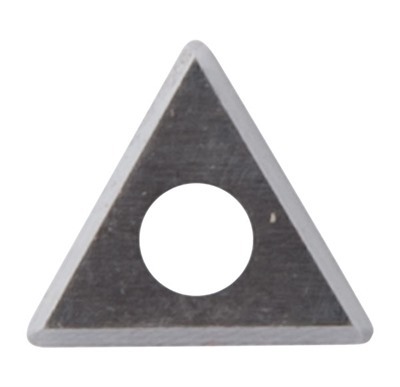 20 Degree Relief, Thickness: .094", Radius: .0156"
0 Degree Relief, Thickness: .125", Radius: .025"